My mind is swirling. With thoughts of today and thoughts of things to invent and math. Today was a so-so day in 4th grade. Sent a kid to the office, had two kids sent to the office during lunch (someone tattled that they were fighting) and wrote down some names for the teacher. And they have a field trip tomorrow, poor teacher. I get to spend the next three days in the same class, which will be a 2nd grade class. That makes it nice, some stability. While I was in 1st grade a few weeks back, one of the most squirreliest kids was focused on pick-up sticks. She and two kids placed the sticks on top of each other and tried taking them off one by one and not make any move. Which got me thinking of how to use that for education. I couldn't think of anything but another thought popped into my head. Now I'm sure it's been done before and I'm not the first to invent it, but I ran this idea by another teacher today who thought this was a brilliant idea and said he and I should collaborate and create a game (he has an art background and actually knows someone who invents games/art stuff so now I have a connection!). 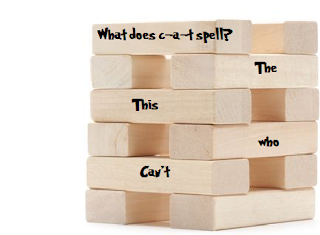 Jenga blocks! 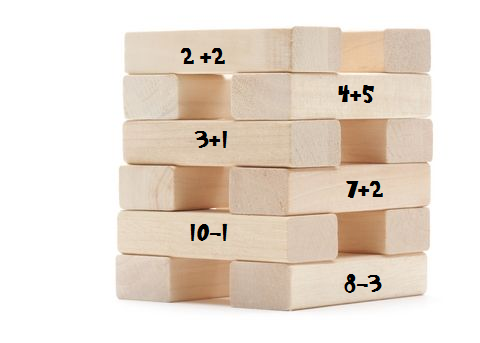 Put math equations on them and the kids solve them as they take a block off. You could have them record their answers/equations on a sheet too. You can use this in literacy too. 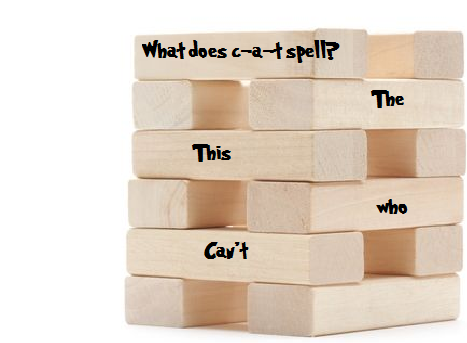 Write high frequency words or sentences on the Jenga blocks and have them record them. Or you could have theme questions on the blocks. Or you could have the kids do it in reverse and read the block first and then build the tower. I'm thinking labels or stickers would totally work, in case you want to swap out the stickers and not write on the block. And I know that thrift stores have Jenga blocks a lot. Something like this for literacy. Something like this for math. And the recording sheet could be lines or if you label the bricks A, B, C then have lettered lines. Ahhh the ideas! Have you seen this done before? Do you do this? Or am I just nuts? Lol. I think it is a fun idea. 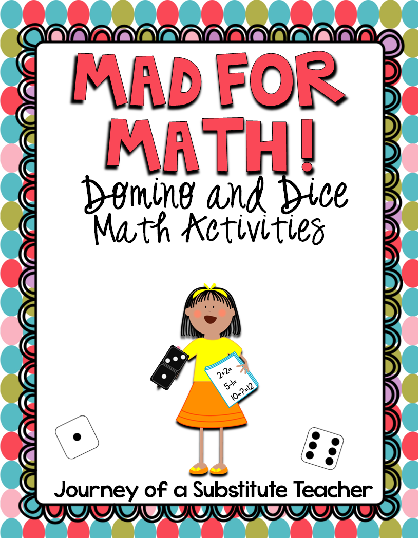 I love adapting games for the classroom. Very cool :) I just haven't seen anyone around here do it and everyone I talked to said it's a cool idea and now they want to do it lol. 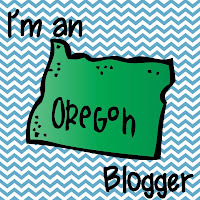 Some New Blogs and Maybe A Giveaway? Madness Monday and Some News! It's a Bird, It's a Plane, It's...Tomatoes? 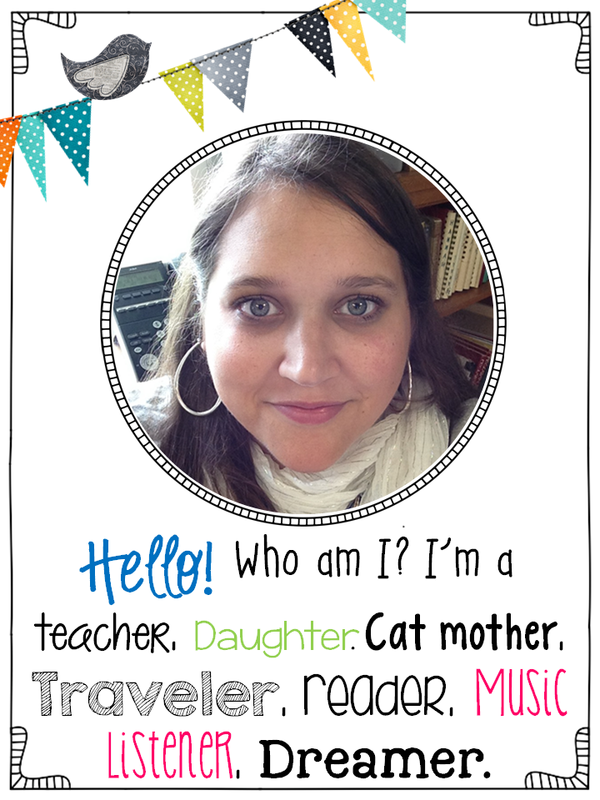 Dr. Seuss TBA Giveaway and more! Happy______day and Time Out Tuesday!